The best gas ranges include burners with a varying range of BTUs for different cooking styles and adequate oven capacities for holding multiple dishes. Convection ovens are also in high demand, although they typically cost more. 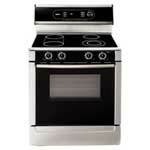 See the gas range comparison and ratings below with a link to the full review of each. If you’re shopping for a new stove, you’re probably wondering whether it’s better to have a gas or an electric range. With today’s competitive appliance market, you’re in luck: Both styles are highly effective and not too far apart in quality. There are just some minor differences between gas and electric ranges that you should consider before you make a purchase so you get a model that meets your specific cooking needs. Here’s a break-down of the major pros and cons of each type of range. With a gas range, you have more precise control over the cooking temperature, which is this style’s main advantage over electric ranges. Its sealed burners are easy to clean when spills occur. 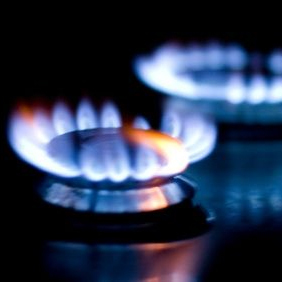 A gas range is most practical in areas that rely on propane or natural gas as a source of power. Many models have an electronic ignition to light the burners, saving them trouble with matches. They are typically more expensive than electric ranges, costing anywhere from $75 to $200 more than a comparable electric model. Installing a gas line to a house also costs a significant amount of money. Some people are leery of using gas because of the risk of carbon monoxide leaks. Also, the pilot lights are highly flammable and need to be shut off during vacations. 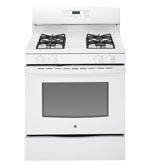 An electric range is typically less expensive than a gas range and offers many of the same features. 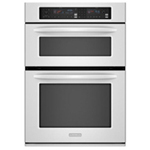 An electric range with a solid ceramic or glass top makes it easy to wipe up spills. Most homes already have a 240-volt power supply necessary for an electric range, and they are relatively inexpensive to install. An electric range has no risks associated with gas or pilot lighters. 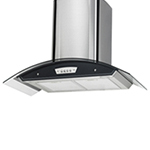 While many top models are precise, an electric range is generally less precise with heat than a gas range. 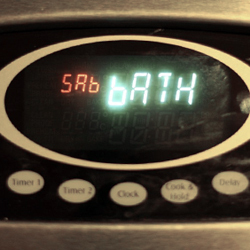 An electric range does not have the same toasting and roasting functions as a gas range. Electric range models with coil burners are harder to clean; their drip pans become dirty and grimy with frequent use. While there are advantages and disadvantages to both gas and electric ranges, many of the best models have similar performance and special features, such as a self-cleaning option. Ultimately, your choice boils down to your cooking preferences, your budget, and your feelings toward gas versus electricity.